Major and minor publications alike tend to conflate the two foundations or flat out ignore the family foundatoin, but it is imperative for the average American to understand the difference between the two. Unlike Donald Trump, who uses his foundation for personal gain and hasn't donated a dime of his own money to it since 2008, the Clinton's have spent a considerable amount of their wealth on a wide range of causes that are near and dear to the couples hearts. The Clinton Family Foundation is far different than the Clinton Foundation most Americans know of. The Family Foundation is a nonprofit 501(c)(3) charity that only receives donations from Bill and Hillary Clinton. They do not accept any other donations from individuals or businesses and they alone choose the recipients. The most recent tax returns for the Clinton Family Foundation shows the Clinton's personally donated $3,000,000 to the charity in 2014 and gave out $3 ,782, 788 to various charities and philanthropic causes. 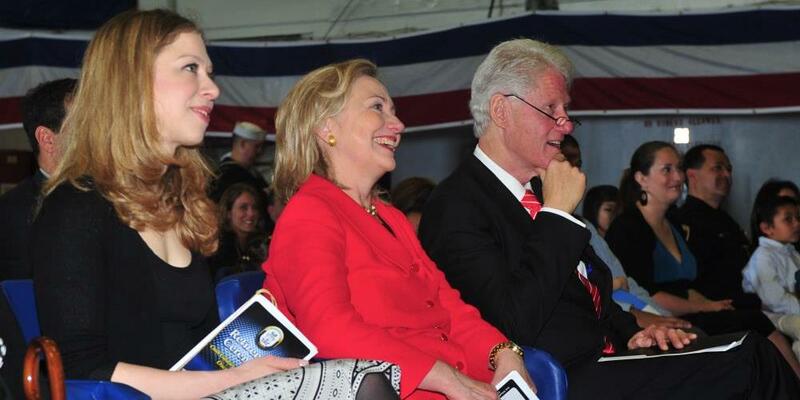 Less than one-fifth of the $3,782,788 the couple donated in 2014 was given to the better known Clinton Foundation. The other four-fifths was donated to 70 nonprofit organizations ranging from health to education to children and youth charities. The latter is where a large percentage of their donations go, which isn't surprising considering Secretary Clinton's well known history of involvement with the Children's Defense Fund. Why the media tends to conflate or flat out ignore the Clinton Family Foundation's philanthropy is anyone's guess, but it is well past time for them to better inform the American public about the differences between the two. We deserve better. We know why. And the other Foundation has received A+ from the charity watchdog agency.The media seems to also fail at mentioning the Clintons have released over 20 years of their taxes. Neither Bernie Sanders nor Trump has released their taxes for 2016 or any other full tax disclosure.